Okay, this is it. 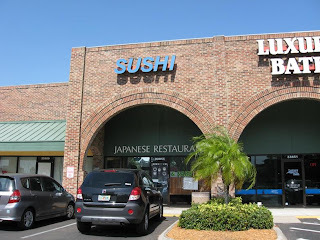 I am a sushi fanatic, and have found some pretty good sushi places here in Florida...but Mike's is absolutely the best around. I keep telling Mike that he is the only reason I won't move back to NY! His fish is so fresh, it's still quivering. First, there's the atmosphere. 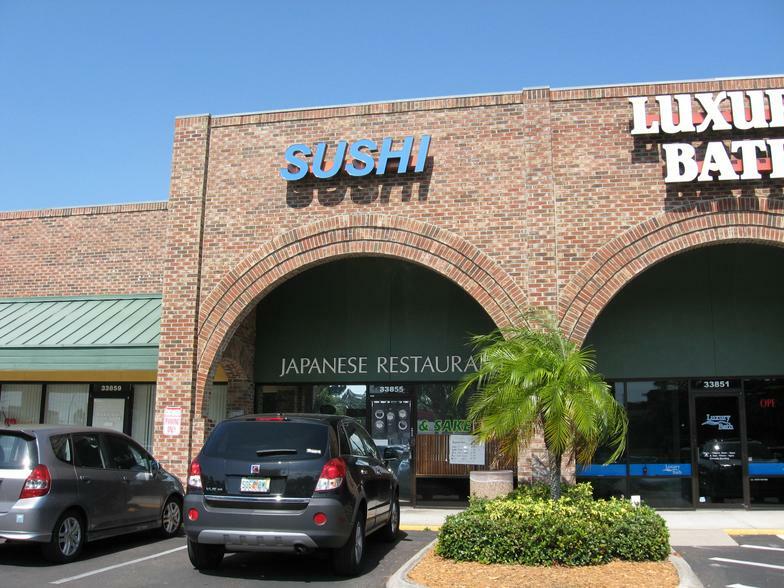 What's not to love about a sushi bar with blues playing on the stereo system? Most of the regulars sit at the sushi bar, where it's not unusual to pass tastes of dishes or shots of sake up and down the bar. Strangers become friends immediately. I usually start with Pokki, which is served in a martini glass, succulent bites of perfect tuna with macadamia nuts, cucumber and hot sauce. Then maybe a small plate of that fabulous marinated sea bass...can't pass up Mike's incredible dynamite roll, the special scallops, incredible sweet shrimp with tempura fried heads (and they're really baby shrimp, the way they're supposed to be), but the best is when all the regulars are sitting at the bar awaiting the Uni Man. When the delivery of sea urchin arrives, you can hear a pin drop. We're all too busy salivating to say a word. Then he serves it up, plain and simple, the perfect bite. Mike taught me to really appreciate uni, not even to have it sushi, but just plain sashimi, perfectly perfect. And then, the last perfect bite, is Mike's Wasabi Tobiko. Flying fish roe marinated in wasabi, a gorgeous emerald green, topped with a quail egg. That wasabi rush will bring tears to your eyes, and you will instantly crave your next ride. Ahhhh, Mike's. Mike and his son Sean or his sidekick Tony are behind the bar. Mike's lovely wife is in the kitchen. 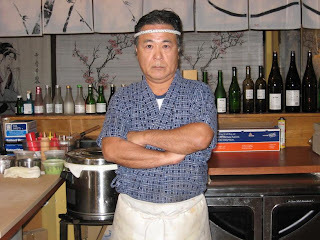 Staff is warm and friendly. 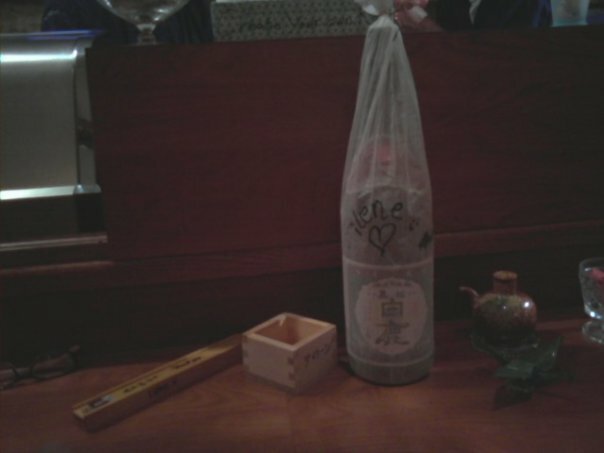 The sake selection can't be beat. 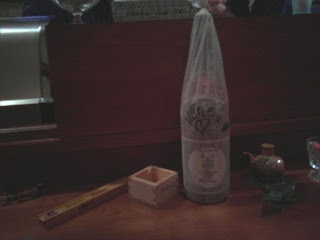 I've got a giant bottle with my name on it in the fridge, and chopsticks with my pic at the front of the place. Ahhhh, Mike's. Nothing better, anywhere.